Please help me welcome Fake Name as the winner of a round 22. Nia Wolfe, will have his/her piece returned to the pool for a chance at re-selection for a future bout, or he/she has the opportunity to submit a new writing sample. 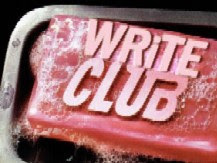 Make sure you check my WRiTE CLUB 2012 results page for a breakdown of all the winners so far, along with links to all of the writing samples. We're cutting straight to the chase today. Standing in the far corner, weighing in at 444 words, please welcome to the ring……..Writer On The Storm. Talia flushed with embarrassment as if she failed someone without knowing why. "I have looked and asked and only receive short answers." Mert nodded in understanding. "I understand. Really, I would have been surprised if you found anything at all." She adjusted her feet and tucked them underneath her. "You know of the Faceless Woman then?" Urgo broke his long silence with a laugh. "The children's tale? The creature meant to send children to their beds in shivers?" He laughed again, wiping his eye. "Yes, I know of her. Should we get into our sleeping areas as you tell us her tale?" "You don't believe her, do you Amethyst?" He looked at her with enjoyment and surprise. "Go on..." Amethyst told her. Mert shook her head. Talia noticed deep disapproval and sadness in her eyes. "Children's tales to you now. A harsh reality that predicted the fate of the Gifted for others." Mert continued. "She was a student once. It was during the the time we actually trained the gifted, instead of turning them away or making them into products of manipulation for our own sense of purpose." Mert looked at Urgo as she continued. "You forget the age of your elders, young man. So much of the truth in history can be lost over hundreds of years." She looked down at her hands. "Especially among the tight lipped authority figures." "What happened to her?" Talia asked. She should have stopped her from continuing further. She should have ordered them to bed. To just continue their journey in the morning without this conversation. And without the Master of Power to join them. But she didn't. "She was Gifted, like you. During those times we were careful on what we taught the Gifted ones. Many of the Master's of Power were against teaching them about the darker powers at all. But we knew that would only encourage the Gifted to learn it more. So, we gave them just small spoonfuls of the power and learning how it's used. And she just ...overwhelmed herself with it. Determined to learn all she could." Talia heard her heart thud in her chest. The words rang so familiar to her. Words she had said herself. "What happened next?" She prompted. Mert shut her eyes before she continued. "She yearned for more. She learned how to steal the power from others and leave them empty inside. And then there came a point when the Masters of Power knew it was time to take steps to protect our world and others from further damage. And that's when the head Master of Power came into my office one day..."
And in the other corner, weighing in at 495 words, let me introduce to you ……..Blue Cookie. I peered up through a tangle of blackberry canes. Dusky little birds hopped among the brambles above me making the dead inner leaves quake. Lying on my side with thorns snagged into my snow-white dress, I couldn't move. My bare arm dribbled lines of blood that tracked down between my breasts. The pain from those and a hundred other punctures rushed in on me. “Help!” I yelped. Yesterday, I left home from an old Victorian near Golden Gate Park. It’s pretty shabby. I have to duck through the doorway fast in case a bit of gingerbread falls. I settled at a table at my favorite coffee shop with a cup of tea prepared in the English style, with milk. Setting most of my newspaper on the seat next to me, I pulled out the comics section. A man sat down on top of the rest. He was an aging biker type – long reddish hair with a mustache trailing down his cheeks. I shifted away. “Any Earth shaking news in there?” He leaned forward so his laced leather vest squeaked. He eased me back down to a seat. His eyes grew wide. “But it works. After I got discharged I wanted a bike real bad but funds was scarce.” He glanced around like he was about to impart a hot stock tip and lowered his voice. “I bet you never met anybody that got a loan for a Harley before.” He seemed to be holding his breath, waiting for me to answer. Too weird. I saw a waiter with a red mustache trailing down his cheeks, yesterday. And he's roosted in my imagination, now this. Don't you think that's weird. While both of them felt a little vague and didn't really grab me I think Blue Cookie had the better writing. The first piece had too many people, I had to read it twice to get a good handle on the characters. The premise was interesting, but I think it needed more details. The second piece had me laughing, but I was a bit confused at the transition between the first few paragraphs. Yup, Blue Cookie for me. The transition was rough for me though. Hmmm... An interesting bout today, highlighting dialogue. Writer on the Storm (and I believe that's the second pen name we've now had with a reference to the Doors) does well to bring us into an immediate scene, with dialogue and a minimum of inner exposition. The back-story is trickled in through the dialogue, which is usually good, however here it feels very forced and artificial -- the whole point seems to be to set up the relaying of the back-story by the Master of Power Mert: "Well, sit back and let me introduce the drama by telling you the story from long ago about of the 'Gifted' and 'the Faceless Woman'." Also, the opening sentence seems a bit awkward to me -- Talia doesn't know why she's failed someone, or why she's flushing with embarrassment? And Mert seems understanding (she nods in understanding and then immediately says she understands), so what's the embarrassment? Overall, this piece does have some things to like, but I'm afraid it just doesn't quite grab me. Blue Cookie is entertaining and quirky, and I like that. But I do really dislike the brief introduction of Betty lying there all bloody and then flashing back to set up the story. "Oh, I'm in such a horrible condition I can't even move -- so let me tell you about sitting in a coffee shop, having some tea, reading the comics and having a chat with this eccentric ex-biker guy..." The writing has some very nice elements, and the dialogue flows smoothly with a charming mix of humor and effective characterization. I don't have much of a sense of the MC Betty yet, but Silas is well-established as a strong and unique character. The intent seems to be trying to catch the reader by planting the story question, "How did Betty get all bloodied in the blackberry brambles?" But I think this piece would actually have been better to just begin with the coffee shop conversation and maybe insert a few nuggets that suggest how Betty is going to be impacted in the upcoming story. 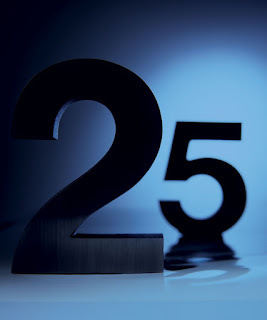 I know I usually suggest establishing drama and conflict quickly, but here, the writing is smooth and quirky and the characters are interesting enough that this piece is one of those rare ones that can work well by letting the story evolve at it's own pace, without needing high-stakes events to snare the reader. My vote goes to Blue Cookie. Coulda done without the bloody breasts (harhar,) too, but I still liked BC's best, overall. Which was the first pen name with reference to the Doors? Remind? Writer on the Storm did make me smile first thing, btw. Nice. Blue cookie for me, although the transition jarred and tenses got confused along the way, or I did, it was the stronger piece. I liked Writer on the Storm's piece. The dialogue seemed a little clunky - people don't usually talk in long sentences without contractions, but as I read it I could hear the voice of Urgo telling the story. I would have liked to see the kids squirming in bed or something like that instead of all dialogue. I think Blue Cookie's dialogue seems stronger, but I liked Writer on the Storm's story more. So I go with Writer on the Storm. Oh, this is tough. I'm going with the first one. I'm torn here. Again, this is one of those where the entries are so different that it's hard to compare. I'll go with Blue Cookie. The first piece seems like it is taken out of larger piece - where all the characters had alrady been introduced. As it is, I was confused as to who is who. The second piece jumped to a bit of back story, which took me out of the current story, but I knew who was who and could follow the story. Blue Cookie gets my vote. Wow, another tough one. The first lost me at the third paragraph; I ended up skimming. Fantasy isn't my favorite, and this one had quirky dialogue attributions that confused me on who was saying what. I had to reread the first half to sort of get it. Like Chris said above, it seems more of a set-up for Mert to tell her story, and I feel a bit cheated every time I read something like that. But then Blue Cookie started us out at a weird place and sort of went off on a tangent--tense shifts, something about a piece of gingerbread falling, but we're in San Francisco? That said, once the tangent smooths out, the encounter with Silas becomes riveting. Great dialogue ("The Red Baron shot Snoopy down" is a *great* line), although I'm not a fan of ellipses for interruptions. For trailing off they're fine, but here it seemed like Silas interrupted her, not that she stopped speaking. So, although there's plenty to fix (in my opinion), the story that grabbed me most is Blue Cookie's. My vote goes to him/her. I have to admit that I skimmed through both of these. Neither the material nor the writing grabbed me in either instance, so it's pretty tough to make a vote today. As people have mentioned, the first story had too many characters speaking and too much telling vs. showing. In the second story, I was unclear as to whether that was a flashback and had to read it several times. The tense is not right and I'm not sure why that snippet at the beginning was included at all, rather than just jumping directly into the story. However, I felt the dialogue was handled better (probably because it was only between two speakers), so Blue Cookie gets my vote, although this is really a toss-up this week for me. I'm really confused by Blue Cookie but I like it anyway! So that's who I'll vote for. Writer on the Storm was interesting but I had a bit of a mental block because Mert is a Turkish male name so the "she" kept throwing me off. Not the author's fault! Writer on the Storm gets my vote today. Both very interesting. Blue cookie had some odd shifts that threw me out of the story, the whole first part is a flashback while I think it would be stronger if it started with the comics page. Be careful of tense changes--I think you're used to writing in present tense. Writer on the storm--I think you need to reconsider Urgo's name. Ergo? Was that deliberate? There's no sense of setting at all, which I need for a fantasy. It took me a while to realize they were camping. Then you have the magical school and a bunch of kids (I assume they're kids) sitting around listening to an adult tell a tale about the evil that came out of the school. And of course one of them thinks about how much she's like the evil one. Be careful of identifying your speakers, particularly as you have several people talking. Pronouns aren't sufficient, and your readers will assume that the last person mentioned is the speaker unless told otherwise. On the whole very strong writing, but I go with Blue Cookie. It drew me into the story better. Blue Cookie gets my vote although to be honest, it was a little confusing. I didn't have a good sense of setting. Writer on the storm's piece was too much telling, imo. Someone else used the word vague and it fits. Both were confusing. But Blue Cookie wins today. The first one threw in too many characters without enough sense of who, where, why, etc. I think the story has promise but this snippet was just confusing. I'm voting for Blue Cookie but I would have liked it better if it had started in the cafe. No point in introducing the opening setting if we weren't going to make it back there in this piece. I'm voting for Blue Cookie, although it was a little confusing. I vote for Blue Cookie. The first one had too many characters and too much dialogue to interest me. That is the trouble with giving snippets of a longer work for this contest, though, I might be more interested if I had been reading this story from the beginning. The second one had a lot of dialogue too, but was focused from one character's perspective and there was a distinct voice. I had a hard time with these two entries, but I'll vote for Blue Cookie because it was easier to follow, even though the transitions were a bit rough. Writer on the Storm, I say this out of love and I'm hoping for the best for you. Ease off the saidisms. They're distracting, redundent and the stamp of a rookie. If you're going to say "prompted" instead of "said", then remove the prompting dialogue. That's all I have on this piece. It didn't establish the scene, setting, tone, or atmosphere because it leapt into the middle of dialogue. For all I know, you've painted a Tolkien-esque scene that would bring tears to my eyes before all this starts. But I don't know. And for that I could not connect with the piece. I wish the first part had been left out of this entry. It came off as a bit of a broken promise. I think your dialogue was good. Someone earlier said they weren't into ellipses to mark interuptions. Looking back at your piece, I have to agree. I think that ellipses imply something besides an interuption, something a little more... I don't know, distracted? lost in thought? prompting? Regardless, my vote is for Blue Cookie. PS, I can't help but wonder what position she's in if blood dripping from her bare arm ended up ... where it did. Seems to a lot of flashbacks and backstory the last few rounds. I found both a bit confusing. I vote for #2, but I think it would be much stronger without the first bit. Someone else mentioned "quirky" and I do like that, so my vote goes to Blue Cookie. I was getting the vibe of a Fractured Fairy Tale. Writer on the Storm's offering was a bit stilted and had too many characters for a 500 word snippet. I got a wee bit lost in both of the entries. I cottoned to Blue Cookies voice so I'm raising my hand to vote for that one. I vote for Blue Cookie. Blue Cookie also gets my vote. I found the story to be more compelling and the details make it a more immersive piece. Blue Cookie today. Good luck to both entries though. Writer on the Storm gets my vote. Neither piece really 'knocked me out'. Writer on the storm cluttered up the dialogue with too many beats or prompts or whatever. Using 'said' seems so ordinary, but at least it doesn't distract. Aside from the beginning, where I'm not sure what was going on, Blue Cookie's piece held my interest and did leave me wanting to know more. My vote is for Blue Cookie. Definitely Blue Cookie. The characters drew me in, and the dialogue was realistic. Number one has the best pen name, but I'm gonna cast my vote for Blue Cookie. I didn't quite "get" the relevance of the opening segment of the piece, but the dialogue was excellent. These kinds of mistakes bother me: Master's of Power. And: "What happened next?" She prompted. I know it's minor, but please proofread your work! Masters, not Master's (although you type it correctly later on). And she prompted, not She prompted. Better yet, find a different dialogue tag or none at all. Aside from these minor errors (which I could certainly forgive; hey, we all make mistakes), I found Writer On The Storm's story confusing. Too many characters at once. And I have no sense of the setting. Is it a cave? An inn? A castle? A spaceship? With Blue Cookie, I had no trouble picturing what was going on with Betty and Silas and the newspaper, etc. Love the part about the hot stock tip and the dialogue is great. I would have started with the coffee shop scene, and skipped the scene with the thorns and snow white dress and blood (intriguing, but somewhat confusing). If you want to keep the opening scene, I'd suggest present tense for that, then past tense for the flashback. I have to vote for Blue Cookie. Hey, I remembered to vote this round! Neither one really grabbed me. I had to re-read them several times to figure out what was happening. Blue Cookie gets my vote, because of fewer errors and miscues. My vote goes to Writer of the Storm. There were a few inconsistencies, and places where the immediate setting could have been more clear. Also, a few grammar issues. But the story line was strong enough to allow me to overlook those things, for now. Blue Cookie's piece confused me a bit. Starting with today, then jumping almost immediately to yesterday, and then never touching back to today had me disoriented. I didn't get a good enough sense of the overall story to be able to stay connected. Hmm, I'll vote for Blue Cookie. I had a hard time staying focused on either of these, but this one was the easiest to follow. Writer on the Storm wins for best penname though. :) Writer's story has potential, but this probably wasn't the best segment to use for this contest -- having so many characters right up front makes the scene difficult for a readers to follow.